In 2012, U of T alumna Rosie MacLennan (BPHE 2011, MSc 2018) was hard at work training for her second Olympic Games—and her first gold medal. But she was also planning a dinner for 100. Inspired by the Goldring Family’s $11-million gift toward a state-of-the-art athletic facility for the University, Rosie wanted to do her part. With her 2008 Beijing Olympics teammate Sarah Gairdner (BPHE 2009, MSc 2011, PhD 2015), she hosted a gala event that raised more than $36,000. And she wasn’t the only donor inspired by the gift initiated by the late Warren Goldring (BA 1949 UC, Hon LLD 2003), and perpetuated by his children Blake (BA 1981 VIC), Jane, Bryce and Judy (BA 1988 VIC). In addition to alumnus Ron Kimel (BA 1966 UC), whose $10-million gift supported the Kimel Family Field House, the late A. Gordon Stollery (MSc 1972) as well as the Province of Ontario and many other individuals and corporations also played a role in the successful community fundraising effort. From the very beginning, the 140,000-square-foot building received enthusiastic reviews. Its unique bridge-like steel truss design allowed the architects to incorporate soaring, column-free ceilings—and earned the 2015 Toronto Urban Design Award of Excellence. 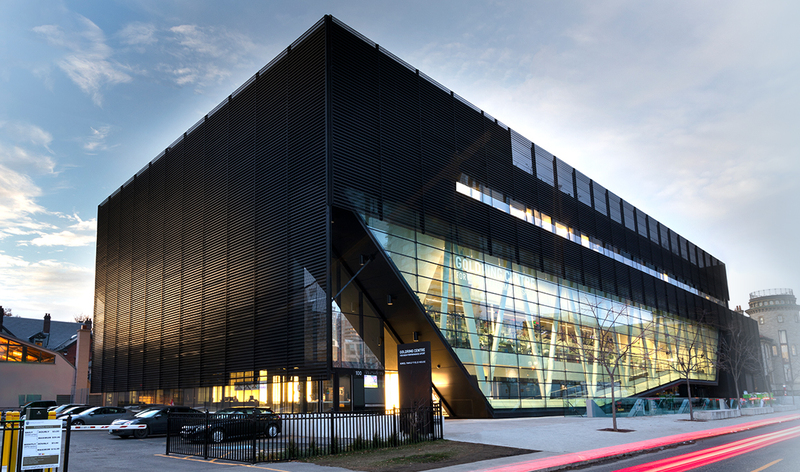 The Goldring Centre integrates research, training, treatment, competition and classrooms in one facility, creating synergies between sport, science and community. Professor Greg Wells, for example, collaborates with athletes who train in his “wearable lab” mask, providing detailed information about physiological responses such as oxygen uptake.